We all know that the environment inside of an industrial facility can be very rough and this environment is also known to take its toll on the concrete slab. You’ve tried other floorings but they just don’t make the cut, they either fail within months or they just don’t offer your business enough to get the job done. 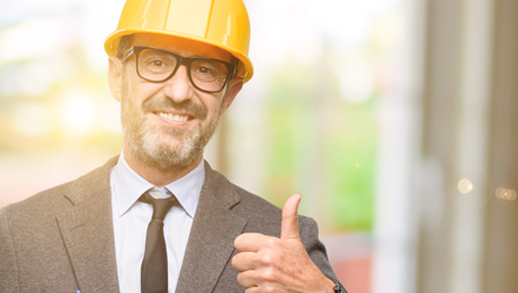 Well, if you live in the area of Phoenix, we have a flooring solution that can make your facility safer and more efficient. 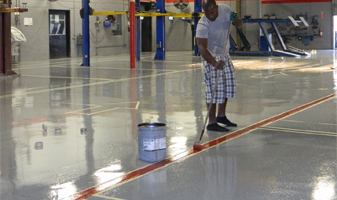 Our industrial epoxy flooring has the ability to get the job done, let us tell you how! 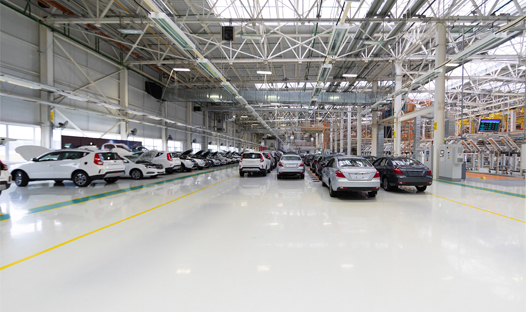 The best part of making the switch to an industrial epoxy flooring system is the sheer amount of benefits that show themselves to your facility almost instantly after the flooring has finished curing. Today our goal is the make it very clear on how epoxy flooring has the ability to completely change the way you look at flooring for now on. Below is only a few of the ways industrial epoxy flooring is able to do this. The main reason that so many industrial facilities use epoxy flooring is for its sheer strength and ability to disregard damage. Did you know that industrial epoxy flooring; specifically the 100 percent solid epoxy system; has been tested and proven to make the concrete slab up to 300 percent stronger and last an average of 2-3 times longer than a bare concrete slab in the conditions displayed in an industrial facility. With an industrial epoxy flooring system, your facilities concrete slab is going to be able to resist the adverse effects of hazards such as heavy vehicle and foot traffic, the use of heavy machinery and even resist damage from impact from dropped objects. 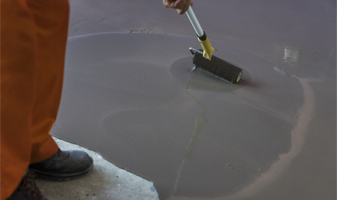 The industrial epoxy floor coating in Phoenix gets its strength from the high-quality materials that we use as well as the professional installation and preparation techniques that our industrial epoxy floor coating contractors have perfected from decades of experience. One of the most crucial benefits that industrial facilities must have is the ability to resist even the harshest chemicals. If a flooring does not have this ability, not only is the flooring putting your facilities safety at risk, they can also out the surrounding environment at risk as well. With industrial epoxy flooring, you won’t have to worry about any of this. The industrial epoxy floor coating is able to resist almost every chemical thanks to its tough nonporous top coat. The top coat isolates all chemicals, and moisture; on the top layer of epoxy. What this means is that the chemical will never come into contact with the concrete slab so you won’t have to worry about structural or environmental damage from a spilled chemical. The isolation of all moisture on the top layer of industrial epoxy flooring will also mean faster and easier clean up of said spilled chemicals. BENEFITS OF INDUSTRIAL EPOXY CONT. The first section just didn’t have enough information for our liking, so below have outlined even more of the top benefits that you stand to gain by using industrial epoxy flooring in your facility. 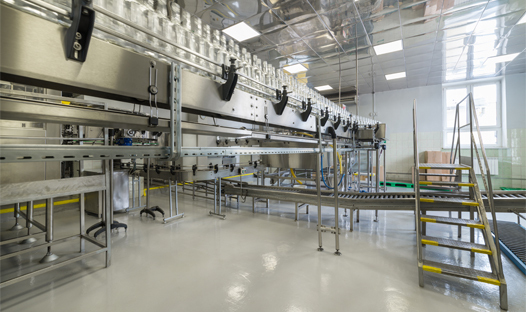 Another reason why so many business owners are choosing to use industrial epoxy floor coatings for their facilities in Phoenix is a simple fact that there are ways to customize industrial epoxy flooring that can make the facility safer and more efficient. The industrial epoxy flooring is able to use stencils during the installation process to create arrows, text and even barriers to indicate where workers and vehicles should be going to avoid confusion and increase safety in any area of your facility. When using a brighter color of epoxy, the flooring will reflect light making the area up to 300 percent brighter as well. Our team of industrial epoxy floor coating contractors knows that time is money in your facility. The quickness of installation of the industrial epoxy flooring in your facility is our goal and we strive to reach our goals. Since the rapid installation in industrial facilities may be required, we offer a special type of epoxy that rapidly cures. Traditional epoxy can take up to 72 hours to fully cure but the rapid cure epoxy can be ready for action in as little as one hour. We can even work in sections so that your facility can stay functioning while we work. 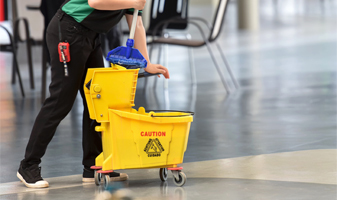 Are you tired of your employees having to spend hours on hours maintaining and cleaning your current flooring? Well with an industrial epoxy in Phoenix, you will no longer have to waste time maintaining the floor. There is no need for any type of waxes or polishes to keep the floor shiny, all that will need to be done to the flooring is the removal of dirt and other foreign objects with a soft bristle broom. When all material has been lifted off the floor, use a standard wet mop to finish the job. Light traffic areas can be maintained weekly but high traffic areas need to be maintained at least once a day. When you have been in the world of business, you know the difference between a good investment and a bad investment. If industrial epoxy flooring in Phoenix has not given you a good investment feeling, there is one more benefit that may change your mind. Industrial epoxy flooring is one of the longest lasting floorings available on the market today. When the industrial epoxy floor coating has been properly installed and maintained, it is able to last well over 20 years. There are even some cases of the industrial epoxy flooring lasting well over 30 years! That sounds like a good investment that will enable your company and facility to thrive for many years to come.